Feel bad about actually having a comfort zone. Have no interest in moving out of it, since it all sounds cold, barren and uncharted. I don’t blame you. That’s how I felt hearing about all that. In fact, talk about comfort zone is in the same category as ‘success’ and ‘goals’ for a lot of people – it’s a place that most people don’t go. It’s not for them, it’s only something professional athletes or people who have some sort of personality disorder -crazy go getters who are Type A always smiling with big teeth shaking hands and injuring arms . Meanwhile you’re just working hard, paying the bills, making sure your clients and or boss and or spouse doesn’t dislike you. They can take they ‘success’ and ‘goals’ and keep ’em. You are too busy working hard and doing all that stuff you do inside this demonized space called The Comfort Zone. Feh. Perhaps even Double Feh. The comfort zone is not a bad thing. We all have one. We all need one. Like love, creativity and desire, it’s an illusive thing. The more you define it and become aware of it, the more it slips away, shifts and becomes undefinable. Some of that space exists based on how we are programmed with our DNA, other parts are due to upbringing and environment. Still more of it we create as we go along. It’s part of life, and a necessity for mental health and… you guessed it, balance. And, like all things, we can misuse it and things become out of balance. I live near a small town. 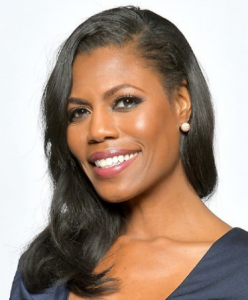 I won’t tell you the name except to say that it rhymes with ‘Omarosa.’ I have learned through the years that more often than not the good people who live there do not like to leave it. Sure they must leave it from time to time to visit other municipalities, go on vacation, go to work, etc. However, if you schedule a meeting with someone from there, they will almost invariably suggest the meeting takes place inside this small town. Mind you, this is not a small town that is like an oasis in the middle of the desert, separated from another oasis by a stretch of road through the dangerous dessert. No, it is just a section of a larger county; it has borders like any other municipality. If you drive through it you will not even have a clue you’ve passed into it, or driven through it – other than the “Welcome to …” sign you might see. But they know. Like occupants of a magical dome, they know when they’ve left the dome – and the do what they can to prevent that. The meetings can be a beer with a friend, a date, or a business meeting. Every date I’ve had with someone from The Dome has occurred literally a block or two away from where the other person actually lives. Why is this? I don’t know. It’s a nice place, with a tiny town center, but I haven’t figured that out. Or perhaps I have. Perhaps the population of this small town all share a comfort zone more intensely than most, thus creating a magical, invisible barrier. Because I’m amazed that I found an actual rhyme for it, in my head, with almost no effort. Because it’s a great almost physical example of a comfort zone stretched too far. Now that we know having a comfort zone is not a bad thing, and we are not going to attack the fact that you not only have one but enjoy said zone, how do we work with it? My approach to coaching is always to look at the whole, and not just target one seemingly obvious culprit. We’re much more interesting than that. Become aware of your comfort zone. Is it being around people? Is it always working on paper and not with people? Is it something as small and contained as just being snuggled on the couch in PJs watching The Bachelor? Is it working with a certain age of people, eating a certain food, eating a lot of a certain food, or eating a lot of a certain food very often? Take steps to move out of it, on a regular basis. Making it a point to do this will have a great impact on your successes – you’ll have more, move faster towards your goals and have some surprises along the way. Why? Because like the good people of The Dome, the magical barrier prevents you from doing or even seeing something that would lead to success and happiness. When we work together, we figure this out, and we figure out how your comfort zone affects what you want to do. Yes, sometimes, like the people in The Dome, it prevents you from doing something simple; it prevents you from making progress exploring options that other people take for granted. Sometimes your comfort zone contributes to your success. Yes really. A comfort zone, again, is not a bad thing. Like anything else too much of it is a bad thing, but not enough is also a bad thing. If anyone (a business associate, a motivational speaker – anyone) tells you that they are “always outside their comfort zone” they are a Big Fibbing Doo Doo Head. What they’ve done is construct a career around an existing comfort zone, one that contains the elements that makes them happy and comfortable. But, because the space is kind of scary to the average person – speaking to crowds, selling, travelling, etc., they can sell it as being outside their zone. A shark is perfectly comfortable in water, in the dark. Humans are perfectly comfortable surrounded by air in the light, on land. 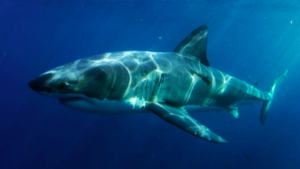 If a shark builds a career out of swimming in the dark, cold waters, he’s not outside of his comfort zone. So when you think of comfort zones, do not feel bad about having one. If you stretch it too far, think of The Dome. You’ll want to follow me on Twitter, or even try out Alchemy For Life. Because it’s outside of your comfort zone.